Sometimes, although you apply lip balm or chap stick, your lips are still cracked and dry. Do not need to worry. Some natural masks for lips may help you get soft and supple lips. However, remember that most of these lip masks will need a few treatments before you can see any positive results. 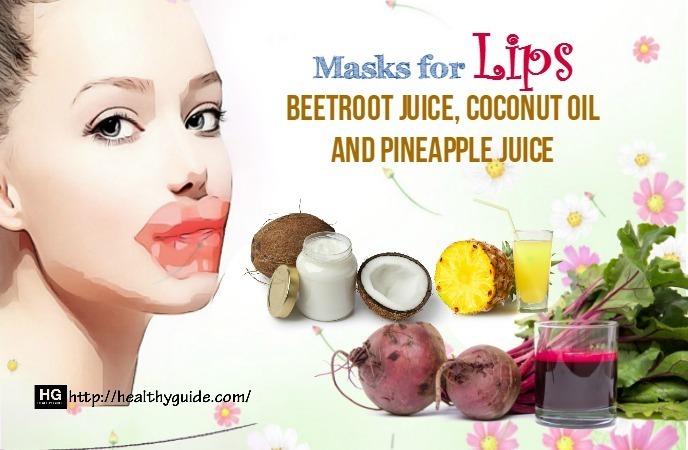 In this article, I will reveal the ways on how to make some simple homemade masks for lips using ingredients you may have available at home. 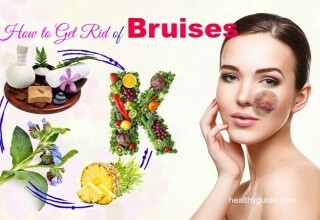 If you want to get more information about beauty facts and want to learn about natural masks for lips, you should spend time reading this article to discover best skin care tips and then try to make one or more of these natural lip masks as soon as possible, especially if you are trying to deal with your dry and cracked lips. To make this simple lip mask, you will need raw honey, a small spoon and a few plastic wrap. This lip mask is good for those who have dry and chapped lips. Besides, according to a study about honey for chapped lips, honey has anti-bacterial properties that help treat your lips well. You cut a small rectangle from a plastic wrap. Be sure that it is large enough to cover your entire lips. Then, you gently press the prepared plastic wrap over your entire lips. This will help trap all the moisture and heat. Allow it to sit on your lips for about 15 minutes. As honey is a natural moisturizer, leaving it on for so long will help it hydrate your lips, leaving them soft and silky. After that, you gently take the plastic wrap off. If it is sticking to your lips, try using some lukewarm water to dissolve it more easily. Finally, you rinse your lips off with some lukewarm water and pat them dry using a soft, clean towel. Note: If there is still honey stuck to your facial skin, then you can use a mild facial cleanser to remove it. Every night, you can apply coconut oil onto your lips. It is a natural moisturizer and it also sinks in fast, so it is good for chapped lips due to cold or dry weather. You can mix it with a little raw honey as well, and then you will notice that your lips become softer the next morning. According to a study, using castor oil a few times a day is also a good way for severely dry lips. 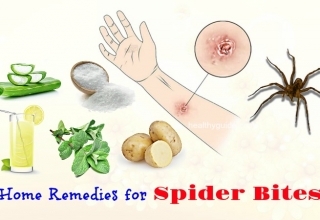 Otherwise, you can apply a mixture of several drops of castor oil, lemon juice and glycerin before you go to sleep. Then, it should be rinsed off with a cotton ball that is soaked in lukewarm water. 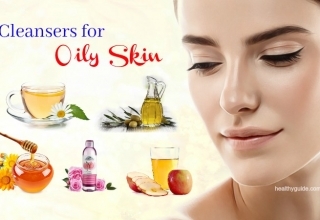 Actually, this is one of the homemade masks for lips moisturizing that you should make use for good, especially if you are looking for the way to get soft and beautiful lips at home. Beetroot is high in antioxidants and encourages blood cell reproduction. Its vitamin A and caotenoids helps improve blood circulation. Besides, beetroot also offers your lip natural coloration. You apply fresh beet juice to your lips before you go to sleep. Leave it overnight and wash it off with clean water the next morning. Repeat it every night until your desired results are visible. Read the 34 Health Benefits Of Beet Juice Are Revealed to know more about benefits of beet juice for human health. This is one of the homemade masks for lips moisturizing that you should not skip out. For cracked lips, you can try applying vitamin E oil straight to those painful cracks on your mouth. Just apply it with a clean finger before going to bed. You will notice a positive result the next morning. Rub a honey and lemon juice mask on your lips right after you wake up. Massage for about 5 minutes and then allow it to dry. Finally, you wash it off after about 20 minutes. Repeat it daily until you see a positive result. Sugar is known as a natural softener that can exfoliate the dead cells of your dry and chapped lips and simultaneously maintain their smoothness. You mix some sugar with 1 tsp. of raw honey. You apply this mixture on your lips. Then, gently rub this mixture around your lips using your fingers. Try to slacken off all of the dead cells. Allow it to rest for several seconds. You cut a lemon into some pieces, and then sprinkle sugar on one piece. 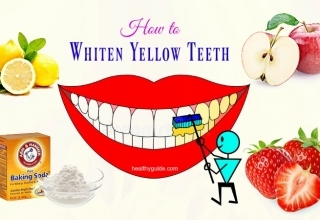 Apply the sugar-coated lemon onto the affected area. Repeat this natural lip mask daily until you can see your desired results. 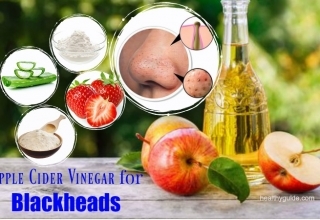 Actually, this is one of the homemade masks for lips softening that you should make use if you want to get soft and beautiful lips at home..
You combine ½ tsp. each of honey, glycerin and lemon juice in a small bowl. Repeat this remedy frequently until you can see your desired results. Note: Otherwise, you can use castor oil in lieu of honey. This is another one of the natural masks for lips that a lot of people in the world have been making use for good. Honey can be mixed with glycerin to make a great lip mask. Apply it on your lips and then rinse it off after about 20 minutes. When it comes to homemade masks for lips moisturizing, you should not skip out the fact that milk cream can help you moisturize your lips effectively. The milk cream is a good natural moisturizer for lips. You can use it daily by directly applying on your lips and then gently rinsing it off with warm water. In fact, this is one of the best masks for lips. The rose petals can also be a good option when your lips need a protection. This natural lip mask is one of the best cures for dry lips. Addition to this, it also add shine and gloss to your lips. At first, you wash a handful of rose petals in water. Then, you soak them in glycerin or milk for several hours. Remove the rose petals and then grind them up. Mix the rose petals, saffron and ½ tsp. of honey to make a paste. Rose gives your lips a natural pink glow. Besides, according to a study about benefits of rose water for skin, rose water contains anti-inflammatory properties that relieves irritated skin and soothes sun damage. Repeat this daily until you see a positive result. Do you want to discover other homemade masks for lips softening? Continue reading this article and then follow at least a natural lip mask at home for good. The healing properties found in aloe vera are famous for healing dry and chapped lips. You can apply aloe vera gel directly on your lips. This not only heals the chapping, but it also relieves the pain. Although the taste of aloe vera gel is not pleasant, it has powerful features. 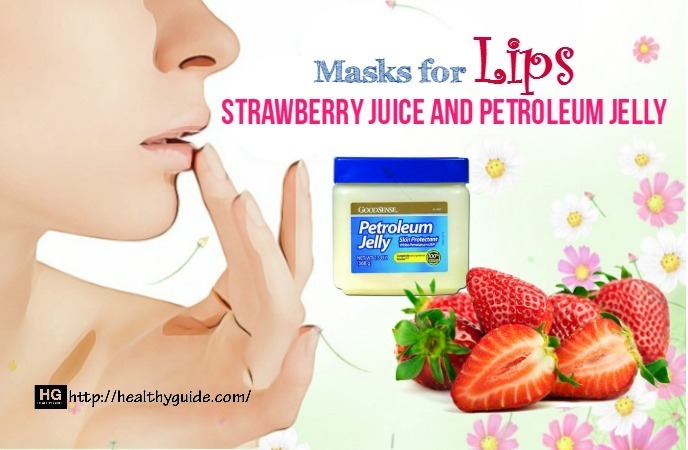 Petroleum jelly is known as the best way to treat dry and chapped lips. Simply apply a little petroleum jelly over your lips, about a few times a day, to offer them proper protection and nourishment. Before you apply petroleum jelly, you can apply a thin coat of raw honey first. Remove the coating the next morning, after leaving it overnight, using a cotton ball soaked in lukewarm water. Repeat this home remedy twice a day for the best results. Another one of the homemade masks for lips softening that you should know must include a mixture of almond oil and honey. You mix 5-6 drops of almond oil and 1 tbsp. of honey in a bowl. Repeat this daily for better results. Another one on the list of homemade masks for lips moisturizing that you should not skip out must include almond oil and castor oil. You stir equal parts of castor oil and almond oil in a bowl. Apply it to your lips and gently massage for about 2-3 minutes. Repeat it daily until you can see your desired results. When it comes to masks for lips softening, you should not skip out that this lip mask can help you soften your lips at home. You stir equal amounts of organic coconut oil and almond oil to make a paste. Apply this paste to your lips and then massage for about 3-4 minutes before you go to bed. Repeat this remedy every night until your desired results are visible. Another simple and natural lip mask for chapped lips is cucumber. Either a few slices of cucumber or cucumber juice can be used on your lips to make them soft and hydrated. This is the best treatment for dry and chapped lips. Another one of the masks for lips softening that you should know must include warm ghee mask for lips.You can apply warm ghee or butter onto your lips to heal chapped and cracked lips. You mix ½ cup of brown sugar and 2 tbsp. 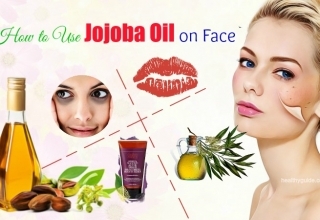 of olive or almond oil, is great when applied on dry lips. 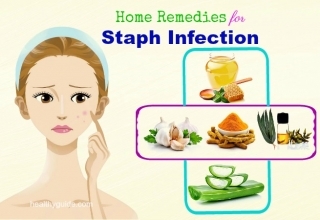 It is also a natural cure for cracked lips. 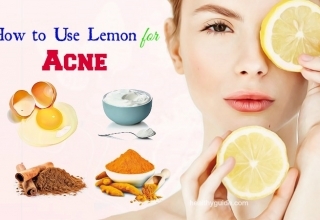 According to a research, lemon has natural bleaching properties that work as skin-lightening agent. The lemon juice has acidic content that can remove the top skin layer and leave the lips softer and lighter. You apply fresh lemon juice on your lips before going to bed. Repeat this home remedy every night for about 30 days or until you see a better result. Note: Applying lemon juice onto chapped líp can result in pain and irritation. Almond oil can moisturize your lips and prevent damage and dryness. You mix almond oil and lemon juice in a bowl. Then, you apply this paste onto the affected area. Gently massage it for about 2-3 minutes. Repeat this remedy daily until you see a positive result. In fact, this is one of the natural masks for lips moisturizing, so you should consider making this lip mask as soon as possible. 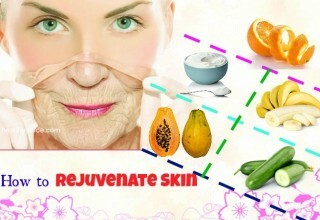 This is one of the natural masks for lips that you should not skip out, but try to make use of this lip mask for good. You mix crushed rose petals, castor oil and glycerin in a bowl. Apply this paste to your lips and then massage for about 2-3 minutes. In fact, this is one of masks for lips moisturizing that you should not skip out, but try to apply this treatment as soon as possible. Strawberries have lightening properties and are packed with anti-oxidants as well as minerals. 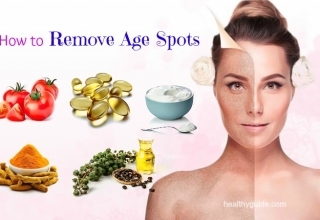 They help prevent the destruction of collagen as well as the occurrence of the wrinkles. You combine 5-6 crushed strawberries and 2 tsp. of baking soda to make a paste. Repeat it every night until you get your desired result. You apply strawberry juice to your lips with the help of cotton ball. Allow it to dry for about 5-10 minutes and then wash it off with water. Repeat this remedy until you see a positive result. You combine 1 tbsp. of strawberry juice and 2 tbsp. of petroleum jelly. Apply this paste to your lips. Repeat this twice a day until you get your desired results. Actually, this is another one on the list of the natural masks for lips softening that you should know when you want to deal with your dry lips. Almond is high in nutrients and vitamins B, E, B2, B6, antioxidants, fatty acids and phytosterols, making it great for your lips. You mix ½-1 tsp. of powdered almonds and milk to make a paste. Apply this paste to your lips and gently massage for about 2-3 minutes. Allow it to dry for about 4-5 minutes and then wash it off with water. Milk cream provides your lips with added moisture. Apply it to your lips and gently massage for about 3-4 minutes. Repeat it daily until you see your desired results. It í rich in polyphenols, antioxidants and flavonoids and it helps keeps your lips hydrated by locking in moisture. You stir 1 tbsp. of pomegranate seeds, rosewater and milk cream to make a paste. Alternatively, you can mix equal parts of beetroot juice, pomegranate juice and carrot juice and then use a cotton ball to apply this paste to your lips. There are some of the other masks for lips moisturizing in this article. So you should spend time reading this entire article to discover all of these natural lip masksand then consider making one or more of them as soon as possible. Turmeric helps heal the inflammation on your cracked lips. And nutmeg has vitamins, antioxidants and minerals. You heat 1l milk in a pot and then tie the mouth of the pot with a clean cloth. Next, you cut nutmeg into some pieces and then place them on the cloth. You bring milk to a boil and simmer for about 10-15 minutes whilst the milk vapor is absorbed into the prepared nutmeg. After that, you remove the pieces of nutmeg and allow it to dry. Grind nutmeg and turmeric root into a fine powder and mix well. Mix this powder and cow’s ghee to create a paste. Fuller’s earth can help cleanse skin while opening skin pores to remove dead skin cells. You mix fuller’s earth and honey to make a paste. Apply it to your lips and gently massage for about 1-2 minutes. Allow it to dry for about 5-10 minutes and wash it off with water. Repeat it twice a week until your desired results are visible. This is one of the natural masks for lips softening that you should not skip out if you want to have soft and supple lips. You mix fuller’s earth and rose water to make a paste. Apply it to your lips and allow it to dry. Repeat it daily until you get a better result. Mustard oil contains fatty acids, vitamin E and antioxidants. You can also combine coconut oil and mustard oil in a bowl. Then, you use a damp cotton ball to clean off the oil. Repeat it daily until you see a positive result. Olive oil makes your lips vibrant and has essential nutrients, leaving your lips feeling beautiful and soft. Gently massage some drops of olive oil to your lips before you go to sleep. Repeat it daily until results are visible. You combine 4 tbsp. of olive oil and ½ tsp. of lime oil. Repeat this remedy 3 times a day for the best results. In fact, this is another one of the natural masks for lips moisturizing that you should know and then try to make use to help deal with your dry lips as soon as possible. You mix equal amounts of beetroot juice and carrot juice in a bowl. Let it dry for about 10-15 minutes and then wash with warm water. Repeat this daily until you see positive results. Actually, this is one of the natural masks for lips softening that you should not look down, but try to make use as soon as possible, especially if you are trying to deal with your dry lips at home. Pineapple helps clear dead skin cell while coconut oil helps keep your lips hydrated. You mix equal parts of beetroot juice, coconut oil and pineapple juice in a bowl. Allow it to dry for 3-5 minutes and wash it off with water. Repeat it daily until your desired results are visible. 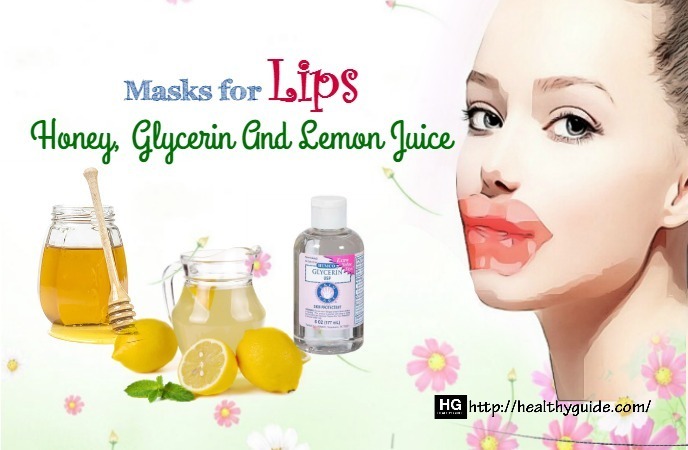 In fact, this is one on the list of natural masks for lips softening, so you should consider following this home remedy to get soft and beautiful lips as soon as possible. Raspberries contain essential minerals and vitamins that keep your lips vibrant and healthy. You mix equal parts of honey, raspberry and lemon juice to make a paste. Repeat this daily for the best results. You mix ½ tbsp. of raspberry juice, honey and aloe vera gel in a bowl to make a paste. Apply it to your lips and gently massage for 3-4 minutes. Allow it to dry for about 10-15 minutes and then wash it off with warm water. Repeat this 3-4 times a week until you see a positive result. Mix equal parts of yogurt, honey and gram flour to make a paste. Apply it to your lips and gently massage for about 3-4 minute. Allow it to dry for half an hour and wash it off with warm water. You mix honey and milk to make a paste. You combine ½ tsp. of honey and 1 tbsp. of turmeric powder to make a thick paste. Allow it to dry for 2-3 minutes and then wash it off with water. Repeat this daily until results are visible. This is the last but very important one on the list of the natural masks for lips softening that you should not skip out, but try to make this lip mask as soon as possible, especially if you are trying to deal with your dry and chapped lips at home. Tomato contains astringent properties that help lighten the skin whilst heavy cream helps moisturize. You mix equal parts of heavy cream and tomato pulp to create a paste. 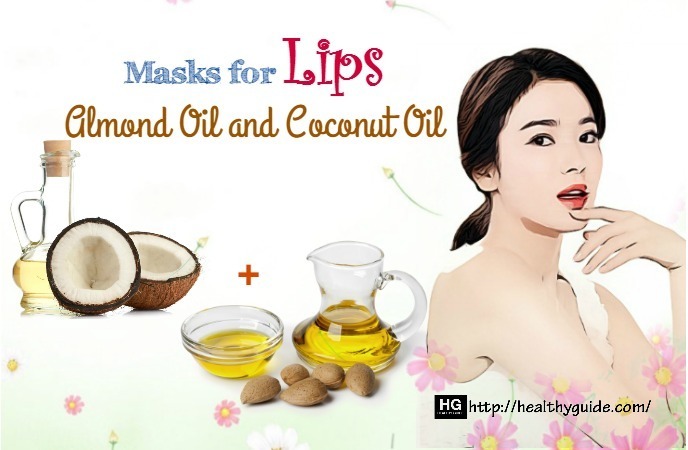 By following these natural masks for lipsas I mentioned in this article, you will experience more beautiful and softer lips soon. 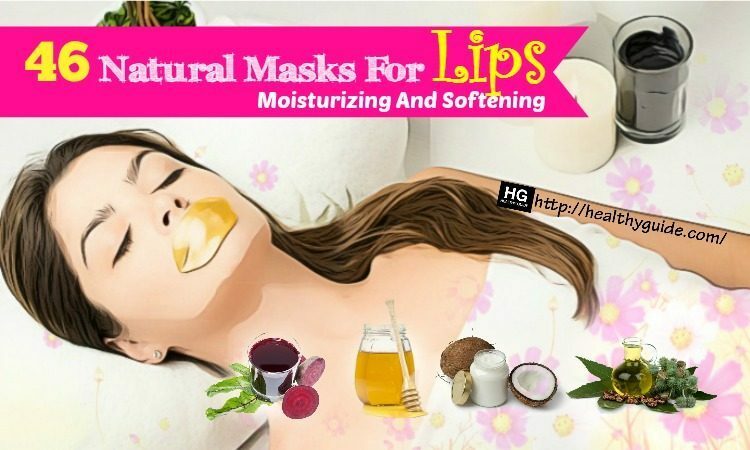 After you read this article of 46 natural masks for lips, I hope that the readers of Healthy Guide will know how to deal with their dry and chapped lips at home and then follow one or more of these natural lip masks as soon as possible. In fact, these natural lip masks are tested by many people in the world without causing unwanted side effects, so you do not need to be worriedwhen you follow any of these masks at home. If you know other natural masks for lips apart from those as I revealed in this article, leave your commentsin the comment section below. By dealing together, two of you can address problems of self-esteem and mutual trust. Core maca in the supplier energetix is an herb that tests quite well for several males.